We all love toast, right? It’s a common brunch staple that most can’t live without. Wanna scoop your eggs and home fries on them, go for it. Wanna spread some jam on there, and indulge, live it up. But did you know this simple staple can actually lead to myriad creative uses? 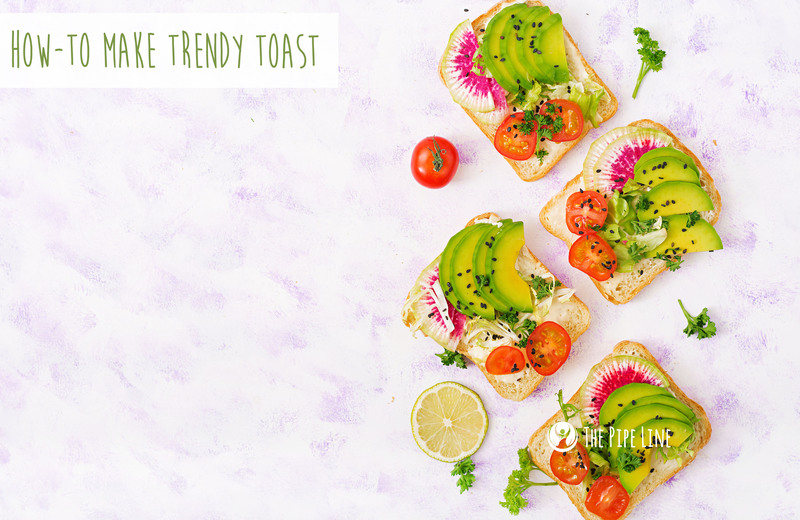 Surely if you’re on social media or read wellness sites, the first initiation of this toast trend started a bit ago with “avo” toast and recently, the world has gotten bold welcoming the advent of unicorn toast. So, what’s up with this trend and why should you get on board with it? Well, first and foremost, it’s a time saver. Sure, omelets are delicious, but they eat the clock! Also, if you’re like most people, the flipping ordeal never ends pretty. No one has the mental bandwidth to slave over a super spectacular omelet, especially when you have kids to drive to school or an office to get to at 9 a.m.
With that said, variations of toast provide nutritional goodness, are simple to make and are prettier than omelets (let’s be real, most foods are). 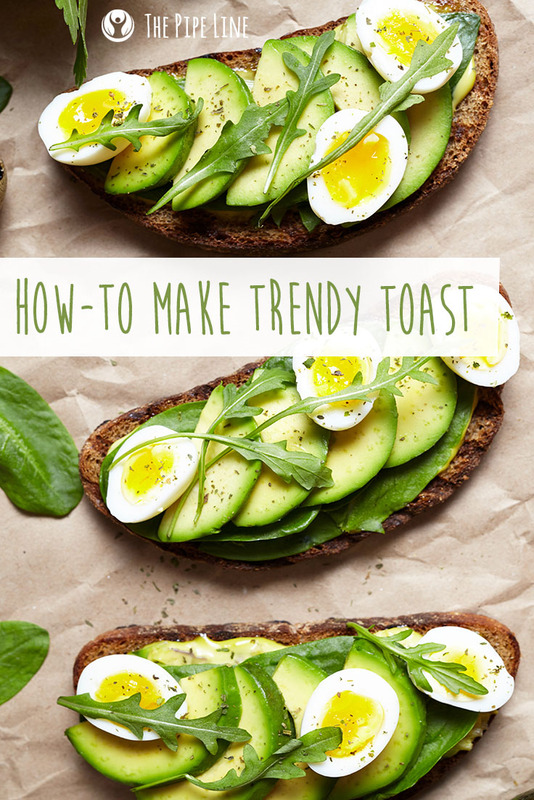 Here are our top 4 go-to toast recipes for you to try out this week! Let’s start boring, but classic, okay? This avocado toast is zesty and delicious. Full of good fats and a burst of lime, you’ll have energy to start your day and won’t break the time bank. Steps: After toasting your rye bread, place the sliced avocado on top. Squeeze the fresh lime juice on. Sprinkle the red pepper, turmeric and sea salt. Eat up and run out the door! Steps: In a non-stick skillet on the stove, sauté spinach with 1 tsp EVOO and salt/pepper. In the leftover oil on the skillet, cook your eggs. Once finished, it’s time to decorate the toast! Place the eggs on first, then layer the avocado and finally, top with the spinach! Steps: To make this yummy toast, first mix the ricotta with honey + cinnamon in a small bowl. Then, lightly spread this mixture onto your toast and top with the berries. Feast! Put on your inner chef hat and get ready to be ultra creative. This unicorn toast recipe is a bit involved but super rewarding. Since there are a lot of steps involved, we’re sending you to the experts on the subject, click here. But before you get started, you’ll want some cashews to ensure true preparation.